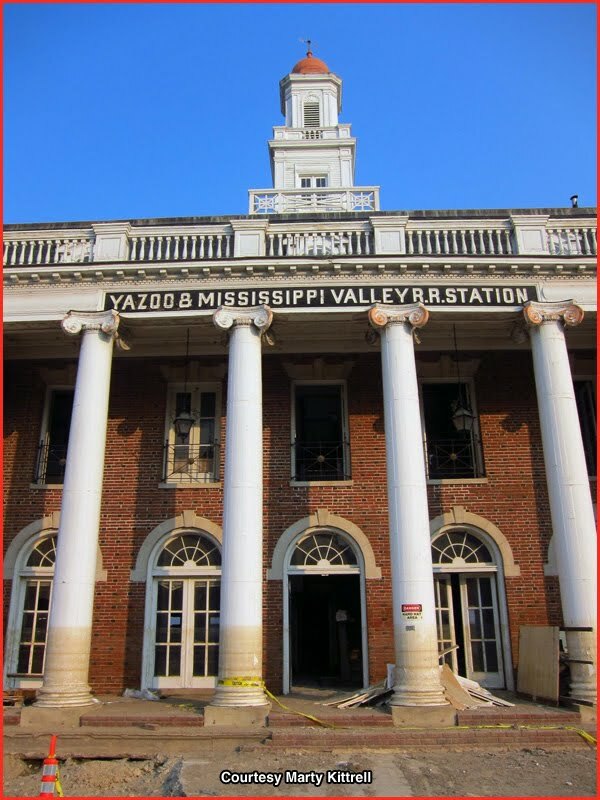 Oil-Electric: Yazoo Station: Bathtub Rings! Port Townsend, today. Well, the floodwater has receded from the record flow at Vicksburg. Our Associate in Vicksburg, Marian Phillips, got her first views of the Yazoo & Mississippi Valley RR station, inundated by the Yazoo River. The Yazoo actually flowed backward for a while when it was overwhelmed by the Mississippi. 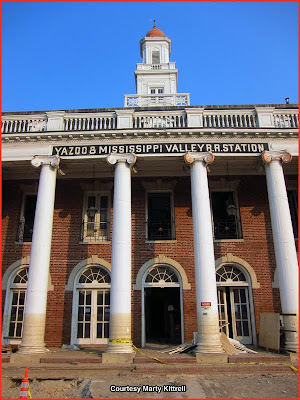 Marty Kittrell, photographer, posted great photos of the Yazoo Station, complete with bathtub rings. Marty also provided the headline photo for this installment. 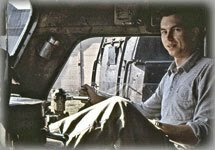 I recommend you spend some time prowling Marty’s site. He has some interesting shots of “ancient” locomotives. Kodachrome Guy posted many interior shots of the Yazoo Station, taken in 2009. His site, "World of Decay," deserves some serious prowling; a lot of interesting material. 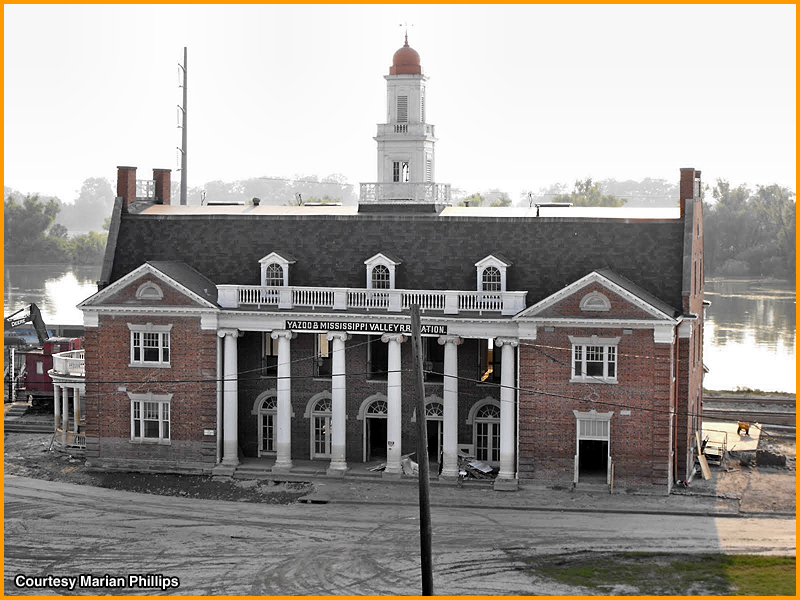 Apparently, the hearty station is still on track to become a museum and visitors attraction. 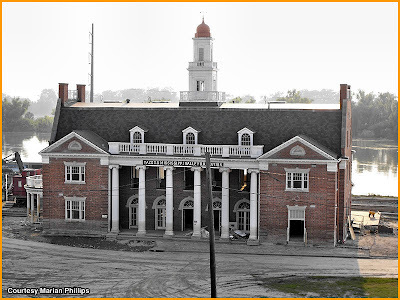 The City of Vicksburg had secured a $1.6 M (USD) grant for renovation and upgrades. Opening date is in September. Thanks for the shout-out Robert and a very nice post. I know Marty and Kodachrome Guy appreciates the links as well!